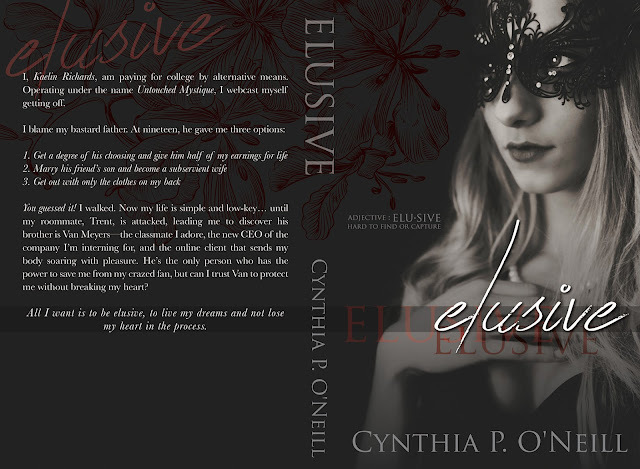 We are very excited to share with you all the Cover Reveal of ELUSIVE by Cynthia P. O'Neill! I, Kaelin Richards, am paying for college by alternative means. Operating under the name Untouched Mystique, I webcast myself getting off. You guessed it! I walked. 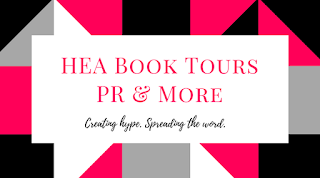 Now my life is simple and low-key…until my roommate, Trent, is attacked, leading me to discover his brother isVan Meyers—the classmate I adore, the new CEO of the company I’m interning for, and the online client that sends my body soaring with pleasure. He’s the only person who has the power to save me from my crazed fan, but can I trust Van to protect me without breaking my heart? All I want is to be elusive, to live my dreams and not lose my heart in the process. 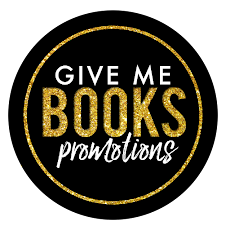 Add to you TBR on Goodreads!